We as Early Childhood Educators and teachers are all looking at different possibilities on how we can expand a child or children’s learning through several different ways and implementations; why not start with something such as a tablet? iPads are amazing new tablets that was introduced in 2009 by Apple Inc. iPads are 241.2 mm in height and by 185.7 mm in width and weighing under less than two pounds. With such an outstanding breakthrough in technology, such a simple, light device, we can change the way education is taught to children. As educators, we plant the seeds of knowledge and water the seeds with our scaffolding in the way we educate and practice our philosophy. Not only are iPads a great use for older students, but also beneficial to younger children. 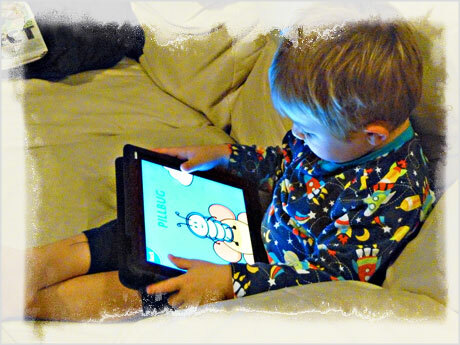 New applications for the iPad are being released, which are catered to educating young children. Such simple, yet enjoyable and interactive applications are: Word Magic, Clifford’s BE BIG, Toontastic, and Highlights Hidden Pictures. These applications for the iPad are developmentally appropriate, yet able to provide interactive hypermedia and hypertext. When children are playing, they’re learning, whether we as adults don’t want to believe it or not. Times have changed where education was seen differently 50 years ago and the way education is seen now; especially since theres major differences in generations. For example, today, those who are over the age of 25 probably wear wristwatches while those who are under the age of 25 do not wear any wristwatches, but instead use a phone that is a multi-functional device whereas wristwatches are single function devices. Ken talks about how education is linearity meaning we just go from one point to the next. Today, we all live in a digital world whether we want to believe it or not. With so much new advancements in technology, we might as well use it to benefit ourselves by using it to evolve the way technology can be used inside the classroom. Flower Power Lite is a simple game that is web-based. You are easily learning math, but at the same time having a fun,interactive time doing it. Nowadays, children play video games a lot when they get home, regardless. If they’re going to play games, if parents allow them, when they get home, why not allow your children to play educational, purposeful games? Children who are born now in the 21st century are born into the digital world where we can get information so quickly by mobile devices, especially ones at our finger tips. By providing children with such a tool, iPads allow such information to be accessed easily right at their finger tips. Why the use of an iPad? iPads are fitted with such a low screen, high pixel resolution, and don’t weigh a lot, they help a lot within the classroom or even at home. Since iPads aren’t any other normal tablets (that just act as e-readers), iPads are able to be formatted to actually play educational software applications or even become an e-reader. Since iPads are so light weight, it makes them extremely easy to carry around with no hassle at all, yet doubling as a portable textbook that doesn’t weigh over five pounds. A lot of older children use the internet a lot for homework, browsing, or even playing games. With the internet as a useful tool in our educational system, an iPad is a great benefit to enhancing the way children learn by providing new and engaging ways to understand and learn complex concept by gaining access to the internet. “I have come to enjoy the time my daughter and I spend playing together on my iPad. We have curated a terrific library of apps that bring smiles, songs, new words, letters, shapes and colors into her world. I am constantly amazed by how quickly she learns the nuances of a particular app and is able to fly solo within minutes of launching a new one. She’s only two and half years old but can navigate an iPad more effectively than my mother in law” (Content to Commerce, 2010). As an educator myself, I believe we can incorporate the way technology has evolved into are classrooms with such simple devices such as an iPad. If children under three years of age has the capability of playing around with an electronic device, what does that mean for children who are a lot older? I am a strong believer in play and how play allows children to learn; allowing an iPad to help children “play” indeed allows them to develop developmentally appropriate. With such a digital culture we are all in now, there is no way we as educators can ignore technology.